Say goodbye to shaky telescope photos! 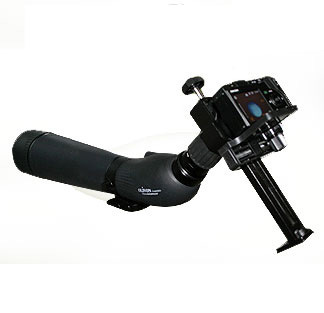 Use the Antares Digiscoping Telescope Photo Adapter to attach a point-and-shoot camera to your telescope and capture stable snapshots of starry skies. 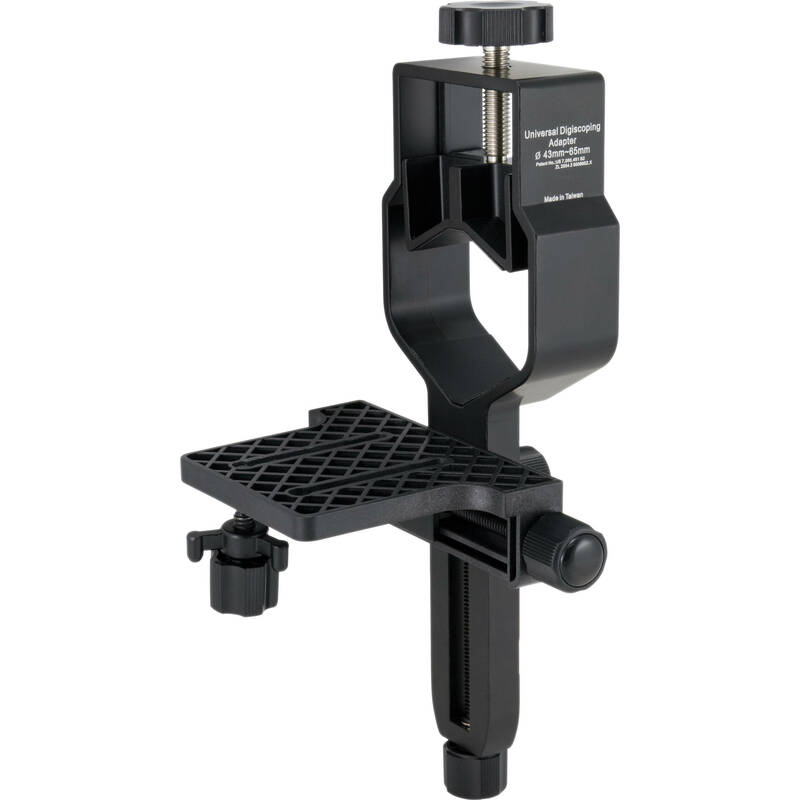 This easy-to-use mounting bracket securely holds your camera up to your telescope's 1.25" eyepiece and allows you to place the camera in the perfect position and focus point so you to capture impressive pictures of the view through your telescope. Anyone who's tried to casually hold a camera up to a telescope eyepiece will greatly appreciate the benefit of the Orion Digiscoping Telescope Photo Adapter. 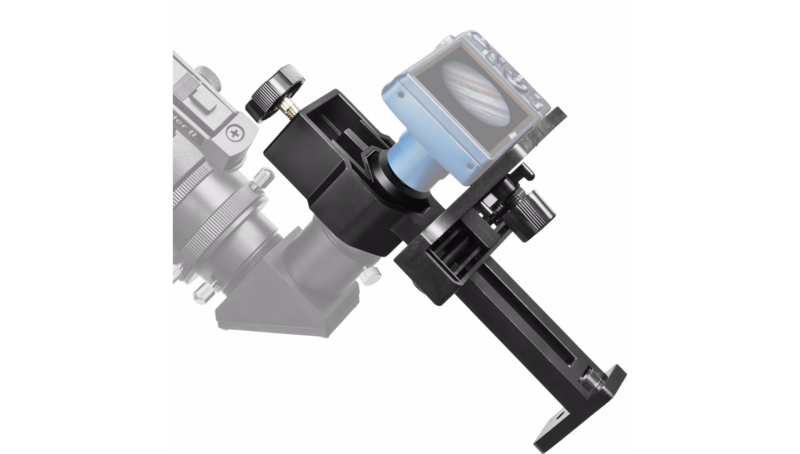 Its stability eliminates shot-blurring hand shakiness and frustrating vignetting by holding the attached camera rigidly and squarely. 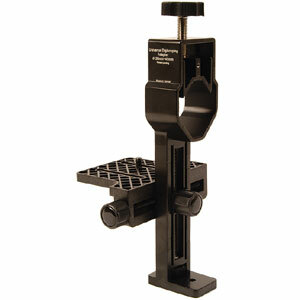 This handy adapter allows you to adjust an attached camera's position for optimal snapshots through a telescope. The Digiscoping Adapter features three degrees of adjustability (horizontal, vertical and camera depth), so you can precisely center the attached point-and-shoot camera lens over the telescope eyepiece quickly and easily. In addition to 1.25" telescope eyepieces, you can also use the versatile SteadyPix Pro to attach a small camera to many binoculars, monoculars, or spotting scopes for daytime terrestrial close-up photos. A 1/4"-20 threaded socket in the foot of the Orion Digiscoping Telescope Photo Adapter allows attachment to a photo tripod or for shooting snapshots through a monocular.